When you think of Timberland® boots, you're thinking of these. Regularly retail at 189.99. 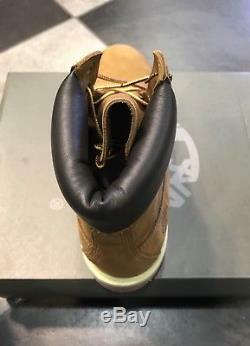 So if you're a sneaker size 11, order a size 10.5. 400 grams of PrimaLoft® insulation. Padded leather collars for a comfortable fit around the ankle. Exclusive anti-fatigue technology provides all-day comfort and support. Classic boot laces made from 100% recycled nylon are re-engineered to stay tied. Rustproof hardware for long-lasting wear. Second midsole layer for additional support underfoot. Rubber lug outsole is made with 10% plant-based materials. Weight of a single boot (size 9: 1 pound, 13 ounces). 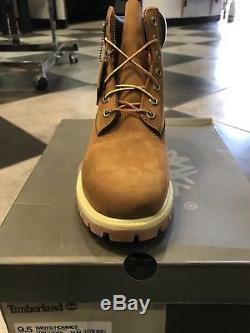 The item "TIMBERLAND 6 INCH PREMIUM BOOT BROWN/RUST COLOR" is in sale since Monday, January 22, 2018. This item is in the category "Clothing, Shoes & Accessories\Men's Shoes\Boots". 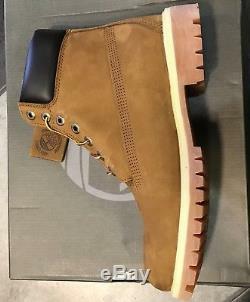 The seller is "mensdressplace" and is located in United States. This item can be shipped to United States, Canada, United Kingdom, Denmark, Romania, Slovakia, Bulgaria, Czech republic, Finland, Hungary, Latvia, Lithuania, Malta, Estonia, Australia, Greece, Portugal, Cyprus, Slovenia, Japan, China, Sweden, South Korea, Indonesia, Taiwan, South africa, Thailand, Belgium, France, Hong Kong, Ireland, Netherlands, Poland, Spain, Italy, Germany, Austria, Israel, Mexico, New Zealand, Philippines, Singapore, Switzerland, Norway, Saudi arabia, Ukraine, United arab emirates, Qatar, Kuwait, Bahrain, Croatia, Malaysia, Brazil, Chile, Colombia, Costa rica, Dominican republic, Panama, Trinidad and tobago, Guatemala, El salvador, Honduras, Jamaica, Antigua and barbuda, Aruba, Belize, Dominica, Grenada, Saint kitts and nevis, Saint lucia, Montserrat, Turks and caicos islands, Barbados, Bangladesh, Bermuda, Brunei darussalam, Bolivia, Ecuador, Egypt, French guiana, Guernsey, Gibraltar, Guadeloupe, Iceland, Jersey, Jordan, Cambodia, Cayman islands, Liechtenstein, Sri lanka, Luxembourg, Monaco, Macao, Martinique, Maldives, Nicaragua, Oman, Peru, Pakistan, Paraguay, Reunion, Bahamas, Viet nam.